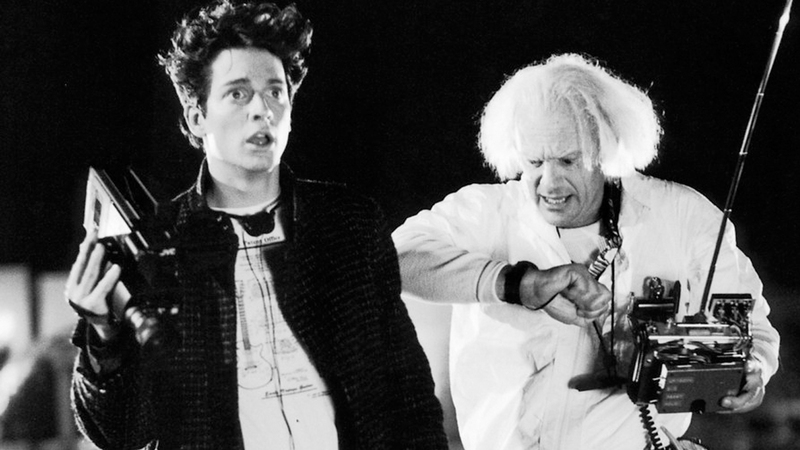 Is the World Ready for the Eric Stoltz ‘Back to the Future’ Footage? The couple days ago the world celebrated a great day – Back to the Future Day! Some, like Indierevolver EIC Jay went and saw all three films in the theater. I myself settled for cracking open the new Target Steelbook and watching the trilogy at home. But no matter what you did, if you were a fan you celebrated in some way. If you’re a fan you know all about the original Marty McFly. Even though the world knows and loves Michael J. Fox, the first man to buddy up to “Doc” Emmett Brown was Eric Stoltz. But as everyone knows director Robert Zemeckis wasn’t getting the performance he wanted out of Stoltz, so after four (!) weeks of principal photography they started all over with Fox. The rest is history. Whatever happened to that footage? We got a glimpse of it on the 25th Anniversary set but nothing extensive. I’m not going to say never. We did not destroy the footage, because we expect that sometime, in some future anniversary, we may let it get out there. They may see it sometime. I’m not going to say for sure, much less when. But I will say that we had the opportunity to completely destroy it. And we did not. So, it does exist in a vault somewhere. So it does exist. I don’t know why it wasn’t released for the 30th Anniversary. Fans were looking for a reason to double dip on the new set and while many found their reasons (be it the cool steelbook or the flux capicitor packaging or the bonus disc with new extras) this would have possibly caused sellouts across the board. I have seen all of the Eric Stoltz footage, and we would not be having this conversation! The movie would have been released. But it would not have caught on the way it did. I don’t think it would have been successful enough to make two sequels. So in the end, it’s probably for the best that we got Michael J. Fox. I can’t imagine a world without Back to the Future Part 2 or Part 3. But I still want to see the half-movie that they actually got down with Eric Stoltz. Who knows, someday…maybe for the 35th Anniversary. This entry was posted in Film and tagged Back to the Future, Bob Gale, Eric Stoltz. Bookmark the permalink. Common and Ian McShane Join Keanu Reeves in ‘John Wick 2’! I have always been intrigued to see what the movie would have been like with Eric’s footage.